Thought I share this wonderful version of this song. I met Erick while in Michoacan, Mexico. He sang this song for us one evening. I also have that footage somewhere in my files. As some of you may have heard humanitarian activist attempting to deliver supplies to the Palestinian people were killed by the Israeli Military. They attempted to deliver this relief aid by boat, since there is a blockade on the ground from all supplies entering and leaving Palestine. 1. The Gaza Freedom Flotilla is an international aid project whose objective is to end the three-year-long Israeli blockade that has created a vast humanitarian crisis in Gaza, Palestine. It is made up of 750 individuals from more than 40 countries traveling on 7 ships and carrying 10,000 tons of relief supplies. 2. In the early morning hours of May 31, a coordinated naval and air attack by Israeli military forces killed 9 international aid activists and wounded as many as 50 others. 3. The main attack was on the lead ship, the Mavi Marmara, a Turkish ship carrying 600 people. 4. The attack was an act of piracy that took place in international waters in the eastern Mediterranean Sea, 40 miles off the coast of Gaza, in clear violation of international law. 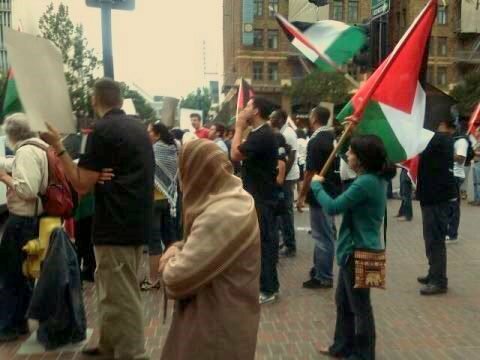 On Friday June 4, in San Diego the Palestinian community along with it’s supporters protested near the Federal building to denounce this attack. It has just come to my attention that a similar state attack on humanitarian activist occured in the state of Oaxaca, Mexico. A autonomous indigenous community known as San Juan Copala is being blockaded by paramilitary groups supported by the Mexican government. This paramilitary group is already responsible for killing several people including the recent murder of Timoteo Ramirez behind the indigenous autonomous movement of San Juan Copala. On June 8th a caravan of activist attempted to deliver relief aid and break the blockade imposed by the paramilitary and were forced to turn around. There is no update at this moment as to when the next attempt will be made to deliver the supplies. 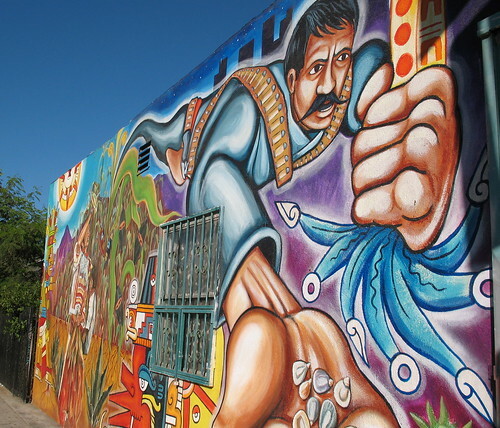 For more on this story check out the blog posting on Autonomia en San Juan Copala from May 22 concerning the press conference that took place, it is translated into English. To the Nahuas of Mexico, the word Teocintl means sacred corn. Another writer describes where he thinks this term Teocintl may have it’s origins.